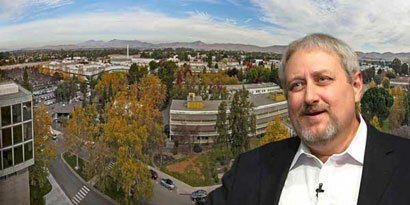 The role and mission of the Office of Strategic Diversity and Inclusion Programs is to work with senior management in providing strategic direction, engagement and execution of programs, activities and events with a focus on diversity and inclusion at LLNL in a manner that enables our workforce at the Laboratory to be productive and deliver on its national security mission. Increase the number of women and minorities hired into full-time employment. Full representation provides a broad cross-section of experience that strengthens scientific teams and aids in achieving the Laboratory's mission of innovation in the name of National Security. Mitigate bias by providing unconscious bias training workshops and build a secure and welcoming working environment for all employees. Extending inclusiveness throughout the Laboratory encourages all employees to fully use their creativity and talent to achieve the Laboratory's objectives. Inspire and motivate youth by building awareness of STEM programs, and assisting in shaping their career aspirations by presenting future opportunities of employment at the Laboratory. Keeping STEM fields filled with a diverse range of talented individuals, and supporting and training the next generation of Scientists who will help the Laboratory carry out its mission far into the future. 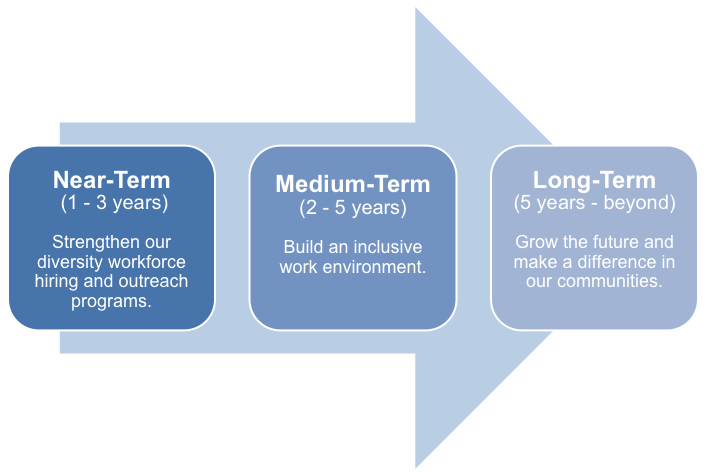 As shown below, the Office of Strategic Diversity and Inclusion Programs defines its objectives in the near, medium, and long term.